In 2017 eKitabu began innovating with Education Development Trust in Wasichana Wetu Wafaulu (WWW) under DFID’s Girls Education Challenge to provide training in ICT integration for teaching and learning, and to provide accessible digital content, requested by WWW teachers for the Kenyan curriculum. The content included course books, readers, and revision materials for primary and secondary schools for teachers and coaches in WWW schools. 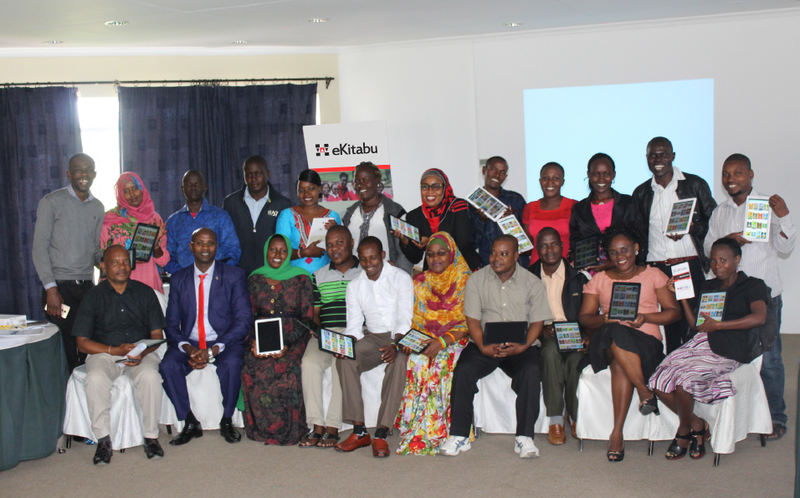 eKitabu developed and delivered innovative training on the practical use of ICT in the classroom for over 100 WWW Master Trainers from schools in the project across Kenya. The main purpose of the training was to empower WWW Teachers with ICT skills for daily use in their work teaching and learning, and to equip the Master Trainers to support Coaches and Teachers countrywide. Among the topics covered were preparing a lesson plan using a word processing application, preparing an interactive presentation for use in the classroom, and analysis of marks using a spreadsheet. These are primary tools that the teacher needs on day to day basis in the digital era. They help make the work of teaching, learning and assessment more effective, more efficient, and more rewarding for both teachers and learners. All WWW Master Trainers who attended the eKitabu learning sessions are training teachers in their respective clusters and regions in 2018 as part of the next phase of WWW. More than 2,800 teachers are being trained across marginalised schools throughout Kenya in this project. The initial ICT training was done in December 2017, with more in-depth training for the entire group of WWW Master Trainers was done in February and April 2018. In collaboration with EDT, eKitabu is conducting regional trainings for Coaches and Teachers in all WWW schools countrywide. As a result of these trainings, the best lessons, presentations and digital tools developed by WWW Master Trainers are being shared to all teachers in WWW. eKitabu is making these same materials available in eKitabu.com as an open resource for ICT integration in the classroom for all teachers to explore.